I love the brightly colored flowers of summer! 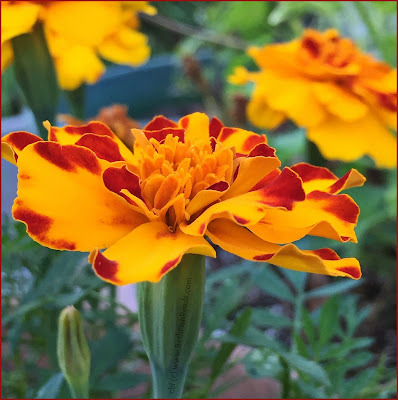 Marigolds always make me smile! That is really gorgeous. I love the vibrant colors! If buttercups are used to see if we like butter, these tell me I like pumpkins! I love the different tones in the flower. It adds a lot of texture. What a charming flower - love the different colors! So bright and cheerful - and usually a good rabbit-proof addition to the garden. Beautiful color! I love that deep red orange.